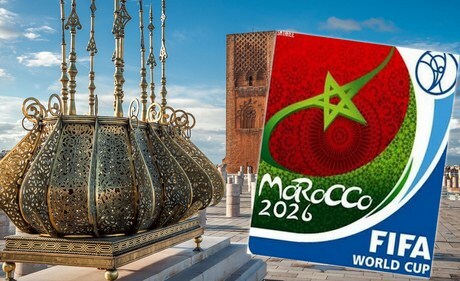 Morocco announced Friday its official candidacy to host the 2026 soccer World Cup. The application was lodged by the Royal Moroccan Football Federation at the Federation Internationale de Football Association – FIFA. It is the country’s fifth candidacy after unsuccessful bids made in 1994, 1998, 2006 and 2010. Moroccan sports minister Rachid Talbi Alami said the North African Kingdom is capable of organizing a World Cup. “We have the necessary infrastructure in terms of stadiums, transport, hotel capacity and sanitation”, he said. But Morocco is facing serious contenders: the United States, Mexico and Canada, which are bidding jointly to host the 2026 global soccer event, to be the first with an expanded 48-team tournament, up from the current 32 qualifiers. The Confederation of African Football has said it will support the Moroccan candidacy. “We are convinced that Morocco could organize this competition just as was done by South Africa in 2010,” said Malagasy Ahmad Ahmad after he was elected to succeed Cameroon’s Issa Hayatou as head of the African body. The host country will be selected by the FIFA in 2020. The World Cup has only been hosted once in Africa, in South Africa in 2010. FIFA’s rotational hosting policy means Africa is one of four confederations that should host the world cup as Europe, Asia and Latin America. Morocco has made huge efforts to improve its football infrastructure while increasing its candidacies for various tournaments in order to improve its chances of hosting a much coveted World Cup. Morocco has hosted two Club World Cup tournaments, in 2013 and 2014, but pins high hopes to organize the world football tournament. It is really a dream, which never faded away. It remains in the hearts and minds of all Moroccans. A dream never dies, just the dreamer ! Written by: Jaber Ali on August 12, 2017. Posted by Jaber Ali on Aug 12 2017. Filed under Headlines, World News. You can follow any responses to this entry through the RSS 2.0. Both comments and pings are currently closed.